Mike Jones, Jr congratulated by his father, Captain Mike Jones, Sr.
Mike does it again! 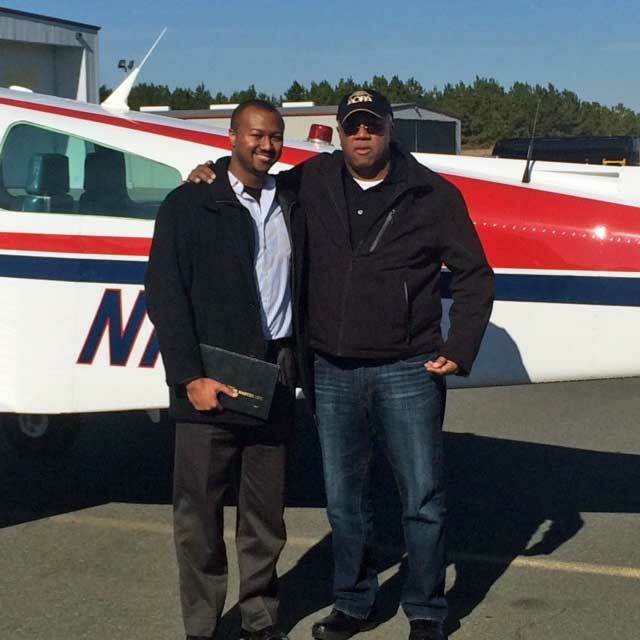 True to his word, on 12/17/2014, Mike passed his Single Engine Commercial check ride (in his family aircraft) with DPE Greg Hudson. 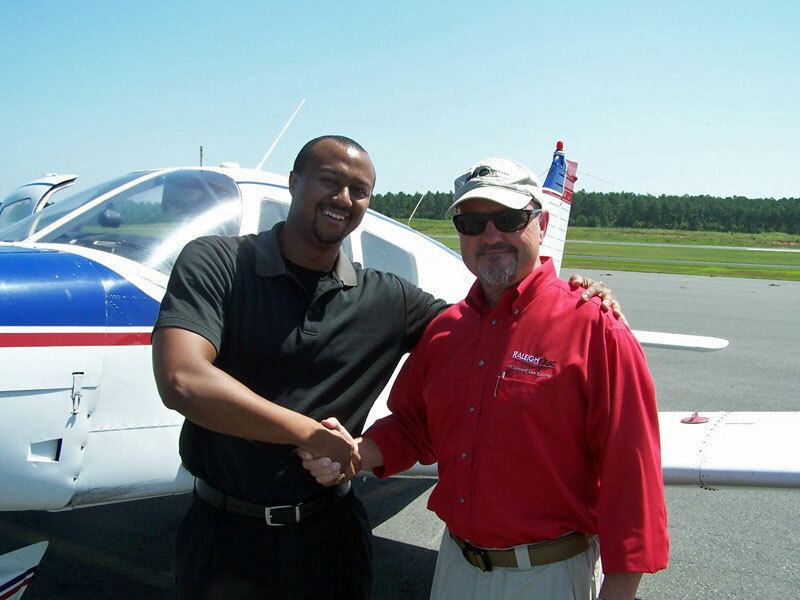 This is Mike’s third check ride since he started flying lessons in November 2013. 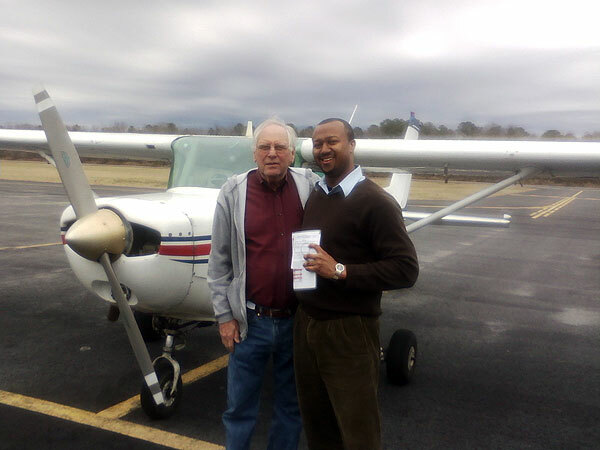 Picture is of Mike along with his Dad who is an Airbus Captain with US Air /American Airlines. On 09/02/14 Mike completed the next step in his goal to follow in his father’s footsteps as a professional aviator. He flew Piper Cherokee, N8432C, to the Raleigh Executive Jetport where he passed an IFR check ride with Designated Pilot Examiner Greg Hudson. Mike is determined to complete a commercial rating before the year is out. 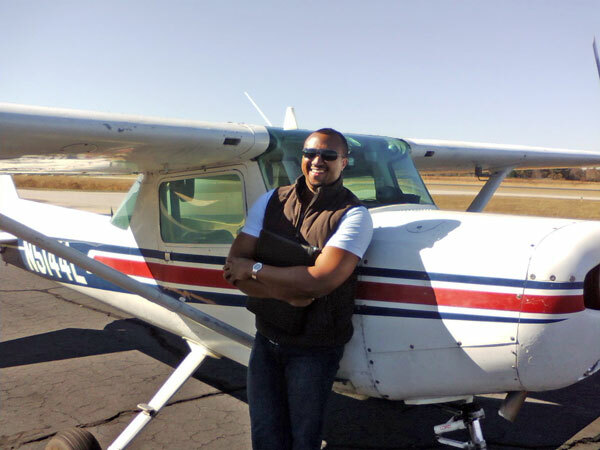 On 2-25-14, Mike passed his Private Pilot check ride at the Tri-Country Airport in a Cessna 152, N5144L. 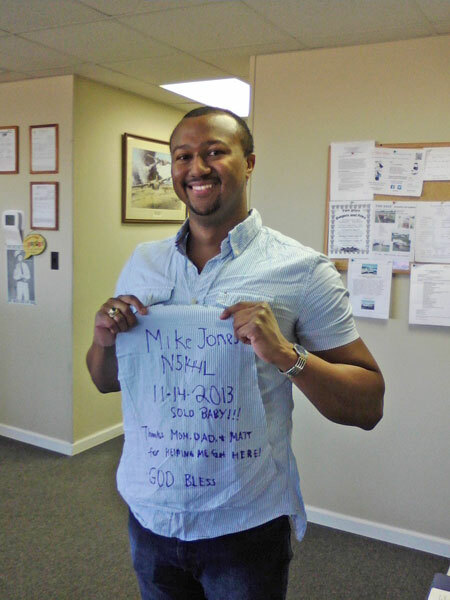 Here are some photographs after Mike’s Private Pilot Checkride and first solo flight on 11-14-13. 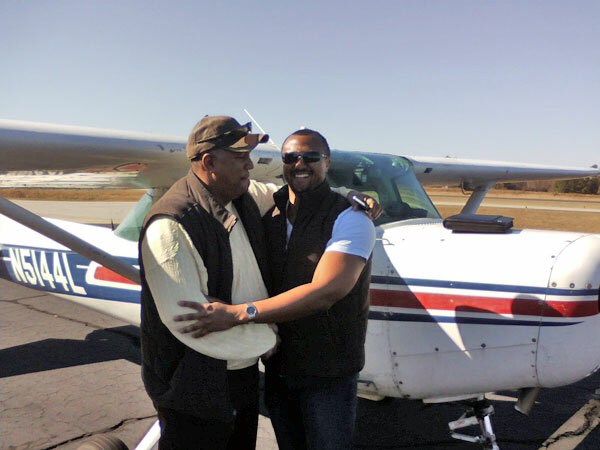 Mike is congratulated by his father after his first solo flights. His Dad is mentoring him during his training.